A 'Global Network of Partnerships' With Chinese Characteristics? Is Xi Jinping really about untether Chinese foreign policy from long-standing CCP guidelines? Commentators both here at The Diplomat and elsewhere have presented several perspectives on Chinese President Xi Jinping’s remarks at the Chinese Communist Party’s two-day foreign affairs work conference which concluded this Saturday. 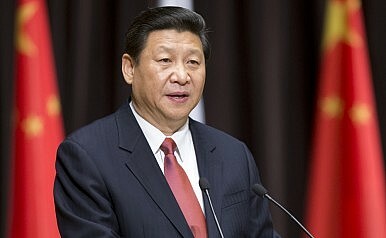 There remains some disagreement about whether Xi’s remarks indicate a major paradigm shift in Beijing’s decades-old and relatively constant foreign policy which rested on the ideological pillars of the Five Principles of Peaceful Coexistence and Deng Xiaoping’s sage advice of tao guang yang hui (“Keep a low profile and bide your time”). Observing China’s behavior in recent years — particularly in the Asia-Pacific — it seems that neither of these accurately captures Chinese foreign policy in practice. With increasing Chinese assertiveness in both the East and South China Seas, Beijing has caused neighbors both near and far to take notice and hedge accordingly. Based on his remarks last week, Xi is ready to acknowledge this reality: “We should make more friends while abiding by the principle of non-alignment and building a global network of partnership,” Xi told the foreign affairs work conference, hinting at a change in China’s approach to alliances. China will forge a “global network of partnerships,” Xi said. Additionally, according to reports, Xi additionally emphasized the role of business and technological cooperation in bringing China closer to other countries. Xi’s remarks offer a sober rationalization, for example, of China’s recent rapprochement with Russia. As I wrote last month, the China-Russia relationship in the Xi-Putin era is more than a temporary marriage of convenience — it will likely emerge as one of the defining and stable bilateral partnerships with important consequences for the future of the Asia-Pacific region. Xi’s comments also make sense in light of other major Chinese initiatives, including the New Silk Road, Maritime Silk-Road, and even the “March West” policy. With each of these undertakings, Beijing is looking to increase its status as a major economic hub across its a region. As a consequence, China will have to seek out new partners both near and far. Much of Xi’s speech should be unsurprising given what we’ve been able to observe in Chinese foreign policy over the past two years. Additionally, one shouldn’t read too much into the idea that China will abandon its focus, both in practice and rhetorically, on its Five Principles and Deng’s principles going forward. Indeed, Beijing saw it fit to celebrate the 60th anniversary of its Five Principles earlier this year (with leaders from India and Myanmar in attendance). The “global network of partnerships” language, if anything, suggests that Beijing could look to develop partnerships in the same way that India does: maintaining many “strategic partners” but no true allies. Alliances, as Beijing may have learned from the United States, lead to burdens and commitments that may prove unsustainable. Xi Jinping Takes Center Stage Ahead of Korean Peninsula Denuclearization DiplomacyChina and South Korea: Examining the Resolution of the THAAD ImpasseWhat China Can and Can't Do About North KoreaIndia-China Doklam Standoff: A Chinese PerspectiveGlobalization with Chinese Characteristics: A New International Standard?